Plastic trucks are used throughout a wide range of industries however none of the competition can stand up to the Hygiplas tapered trucks. 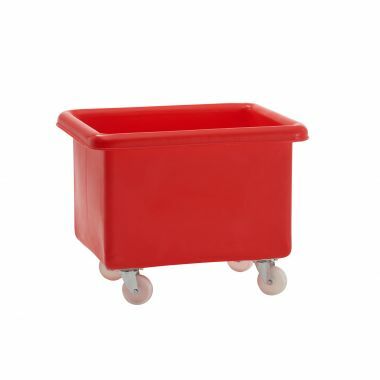 These plastic tapered trucks are manufactured using a rotational moulding process that produces a seamless, watertight, one-piece moulded plastic container truck that is incredibly tough, durable and resistant to cracking, denting and breaking. 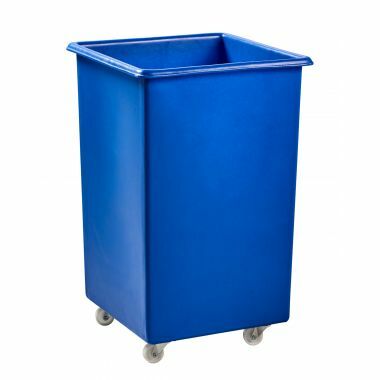 These important traits help to guarantee that these plastic trucks are capable of being used repeatedly within demanding industrial environments and are also well suited for use within high care environments. Hygiplas equipment has served the food industry and bakery industry for over 40 years and the tapered truck proves to be incredibly hygienic and ideal for food handling and storage. 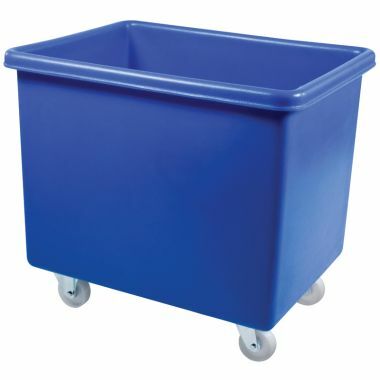 Several of the plastic container trucks are commonly known as ingredient trucks within the food industry and are used for storing and transporting bulk amounts of ingredients or food produce such as flour or dough. 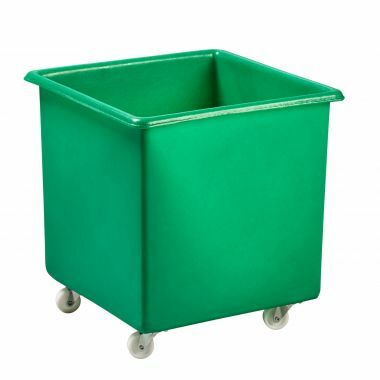 Each size of tapered truck is available with or without a plastic drop-on lid to help protect and cover its contents and the larger sizes can be fitted with heavy duty plastic handles if required. 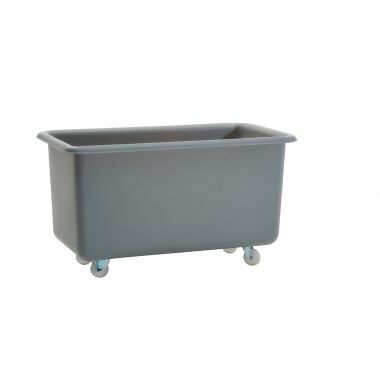 The range of Hygiplas tapered trucks includes 8 different sizes, 6 of which are tapered by design and can stack and nest with one another to save on space when not in use; the other 2 models are straight sided and offer more defined storage solutions, allowing you utilise all of their internal space. Every plastic truck is designed to be easy to clean and has a seamless, crevice-free and smooth interior that proves to be impeccably hygienic. The tapered trucks watertight construction allows them to be able to handle liquids as well as dry foods and ingredients. If your application requires a plastic truck to be able to handle heavier loads, the RM50TR, RM70TR and RM100TR are all equipped with reinforced plastic baseboards for increased strength and durability and we also offer a range of stainless steel chassis trucks with plastic tanks. 1. Each of the Hygiplas tapered trucks are manufactured from a food grade polyethylene material that is incredibly robust and hygienic. 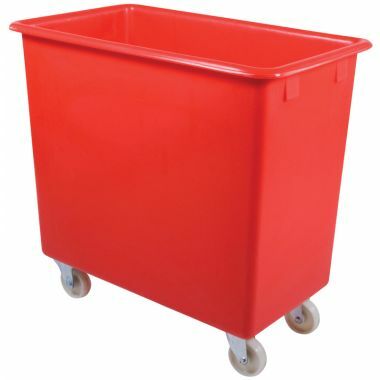 Well suited for handling large quantities of food ingredients and food produce these plastic trucks are highly manoeuvrable and extremely versatile. 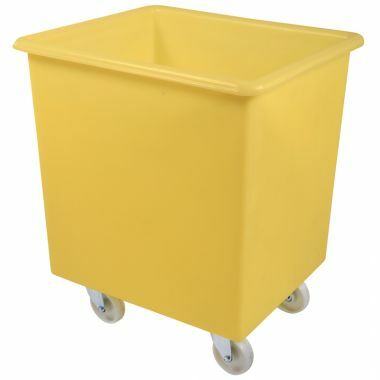 Easy to handle the plastic tapered trucks can be pushed and pulled by hand and are also available with optional heavy duty plastic handles to further assist with their handling. 2. 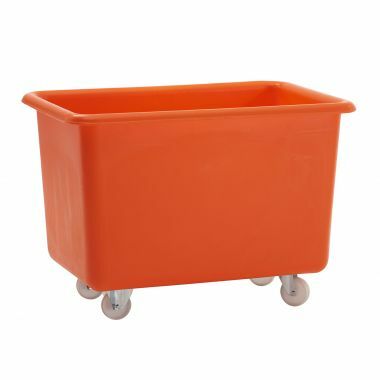 The plastic trucks are rotationally moulded and are comprised of single one-piece mouldings. 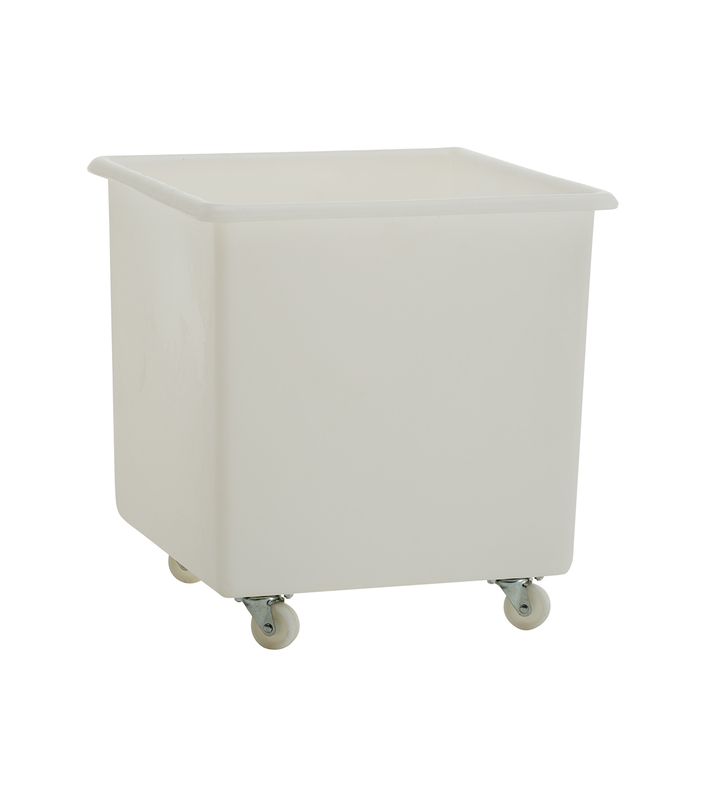 The fittings for the castors are moulded into the plastic container so there is no need for holes to be drilled ensuring the plastic container trucks are watertight. The seamless one-piece construction is incredibly tough and durable, perfect for any demanding industrial environment and able to cope with the rigours or repetitive use. 3. The Hygiplas tapered trucks are available in 8 different sizes and each size can be produced in over 12 different food approved colours. This array of colour coded options allows the food handling containers to be used throughout many high care environments within the food industry as well as catering and hospitality, pharmaceuticals and healthcare. Colour coding is important and so the range of plastic tapered trucks are ideal for product separation, identification and the reduction of risks regarding cross contamination.